We are always on the look for young, dynamic and talented people who have the burning fervor to work in a printing industry. 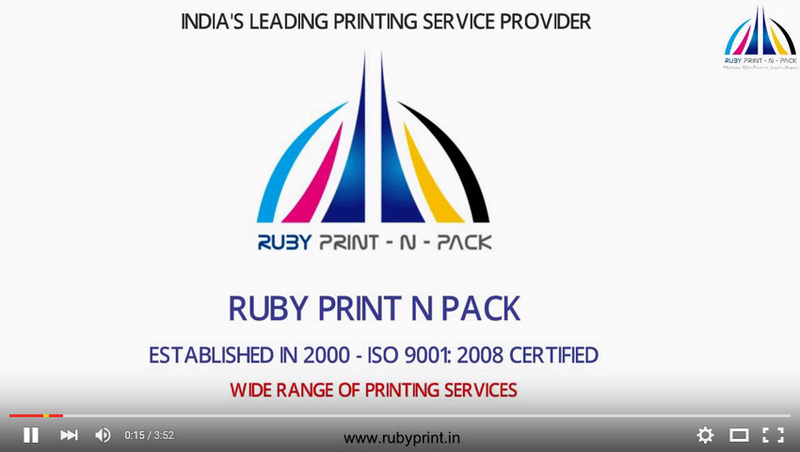 RUBY PRINT N PACK is highly committed to develop these people with respect to their professional skills by providing on the job training, motivating them and making them feel different. Currently, our organization is hiring for the positions as mentioned below. The candidate should be graduated with any Stream. Knowledge & Experience of Printing Industry is Essential. He/She should have capabilities of client handling, quote and proposal management, Email Response management etc. Minimum 2 to 3 Years of Experience in sales and marketing management also ensuring that products are delivered within the deadlines, also should be able to coordinate with the subordinates & peers whenever needed. He/She should reside in Mumbai Only. Must preferably be a BSc. in computers or any other related field. Should have a sound knowledge in Adobe Photoshop, Corel Draw, Adobe Indesign, Akruti, and similar software applications. Must have an experience of minimum 2 years in handling projects independently. Should give priority to work for it to be completed within the time frame. Should think creatively while designing logos , images and interpret ideas into visual elements. Should preferably be a Graduate in Printing Management from a well known university. Must have an experience of minimum 2 years in managing the complete printing press production, in ensuring that the quality is met and the products are delivered within the deadlines, and in coordinating with his subordinates and peers whenever needed.